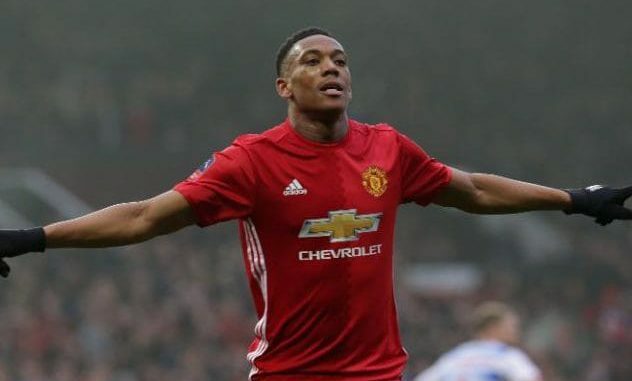 In the past few weeks, reports have suggested that French international Anthony Martial is close to agreeing a new contract with the Red Devils. Today, Manchester United have officially confirmed that the Les Bleus attacker has agreed a new contract until June 2024. As per The Mail, the new deal would make Martial earn around £200,000-a-week i.e. £57.2million in five and a half years. The former Monaco attacker left the Ligue 1 to move to Manchester United when Dutch boss Louis van Gaal was in charge of the club. He scored on his debut vs arch rivals Liverpool but in the past few seasons, he has largely been inconsistent. However, this season, he has been in top class form. The 23-year-old star was arguably United’s best player in the current campaign under Mourinho. Moreover, he is performing brilliantly under the management of interim boss Ole Gunnar Solskjaer as well. So far, in 14 league starts this season, Martial has directly contributed in 9 goals. Overall, in 19 starts, he has directly contributed in 11 goals. Under the Nowegian boss, United have won eight out of nine games in all competitions and Martial has been very influential in the attacking third. He is without doubt one of the most important players at the club and agreeing a long term deal to keep him at Old Trafford in his peak years is a massive achievement.